The following resources are provided to assist your community in starting and promoting the Face to Face program. For more information on how to best utlize these resources please contact Hess B. "Doc" Hall, Jr., Director of Older Adult Spiritual Formation Programs, in the Emmaus Ministries office, by email at hhall@upperroom.org or toll free at 877-899-2780, ext 7288. These items are customizable for your specific communities information. Logos, dates, times, even fees - are all able to be customized with YOUR information! 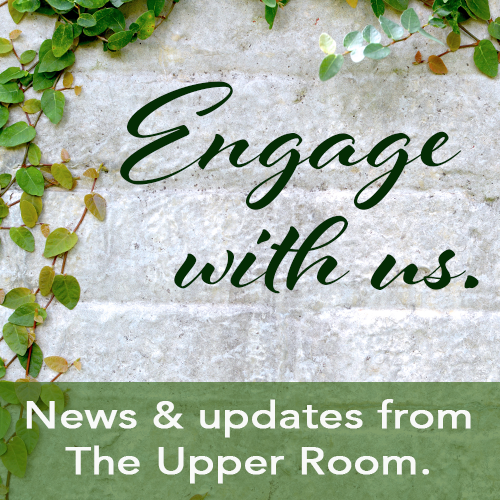 The Upper Room has a catalog especialy suited for Older Adults. Please follow this link to see what our authors are publishing just for you.